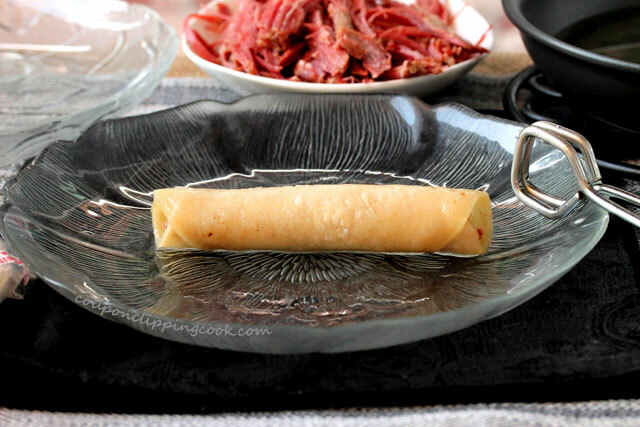 Looking for a way to use up leftover corned beef? 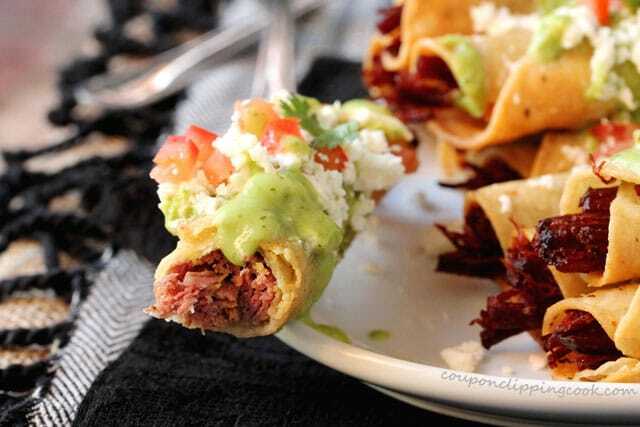 These scrumptious corned beef taquitos are just the thing and they include homemade avocado sauce. 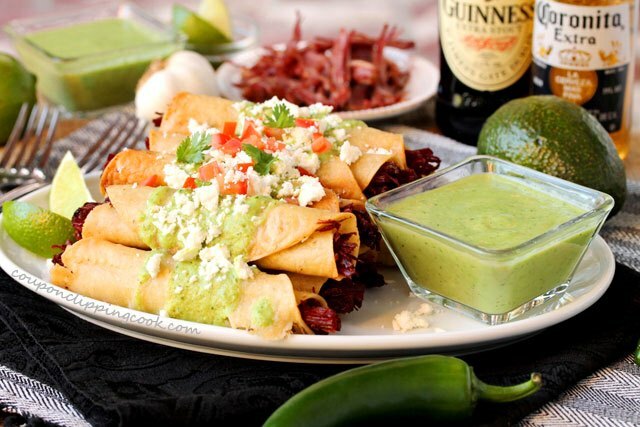 Guinness meets Corona with these scrumptious taquitos that are a must-try. 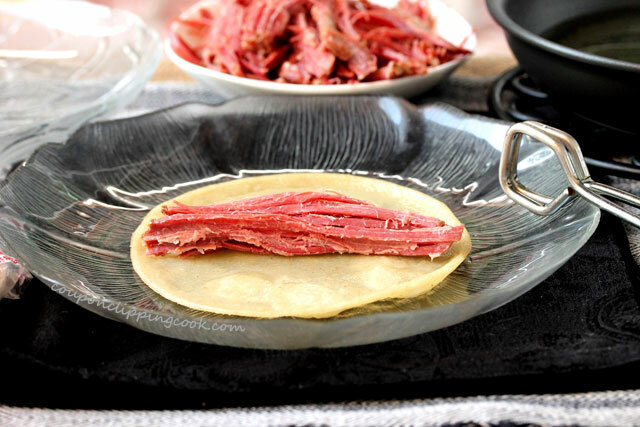 There’s no hiding that they’re made with corned beef leftovers from St. Patrick’s Day. 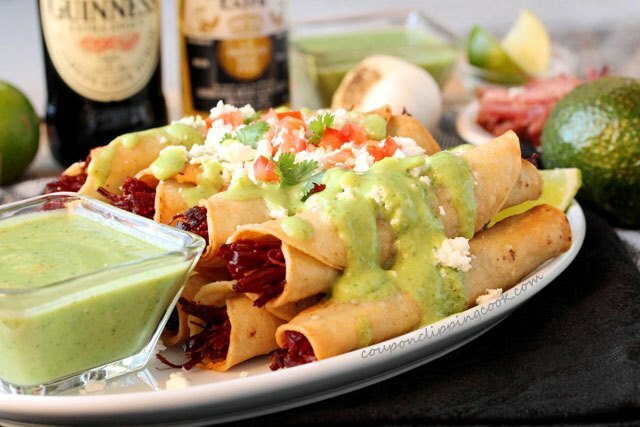 But these taquitos made with “repurposed” leftovers from Slow Cooker Guinness Corned Beef are so good, especially when topped with a flavorful homemade avocado sauce. 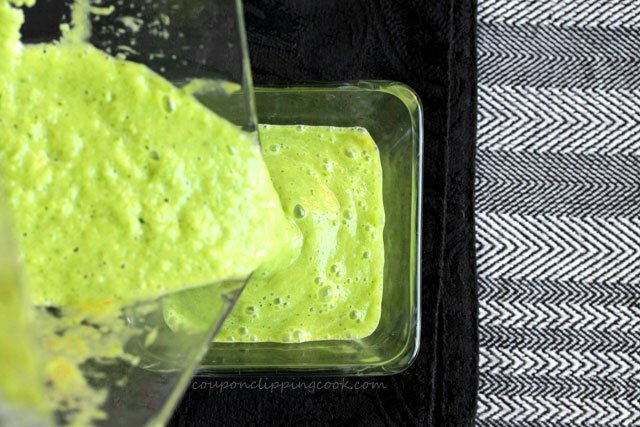 Avocado sauce was such a mystery to me as a kid and even as a young adult until I figured out what it was. 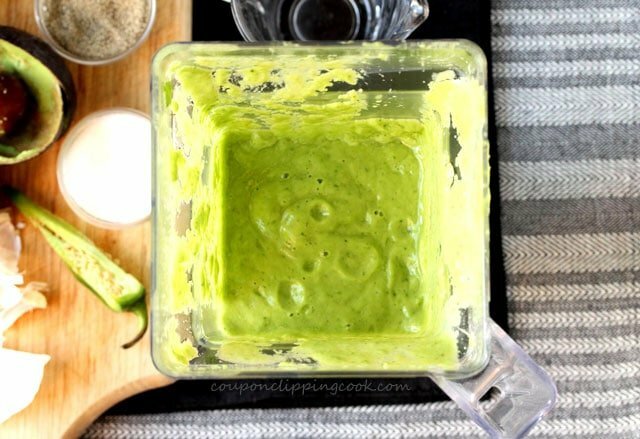 When I was a kid I LOVED the avocado sauce that came in the box of frozen taquitos. It was so good that I finished the packet of avocado sauce before even eating the taquitos. As a young adult I was still loving those frozen taquitos and especially that sauce. I was so curious how it was made. But those were the pre-internet days so googling it wasn’t an option. The good news is that it’s not a mystery anymore and now I make several versions of this yummy sauce. 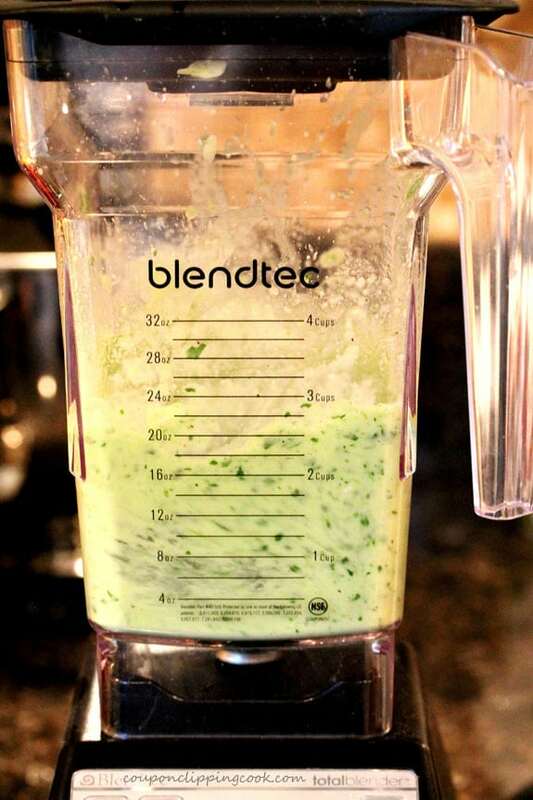 This quick and easy version of avocado sauce doesn’t require any cooking, just a blender. 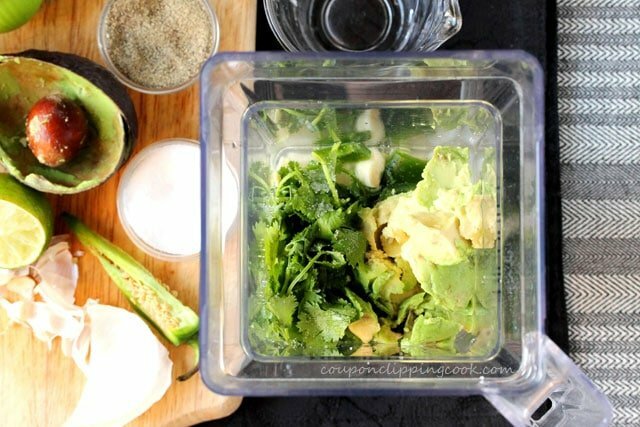 The garlic, fresh lime juice and cilantro stands out nicely with the avocado in this sauce. There are 3 medium-size cloves of garlic in the sauce so if this is too garlicky for you, an option is to just put 2 in and taste test it before adding the third one. And salt really makes the flavors in this sauce pop so taste testing is required to add the perfect amount for your taste buds. 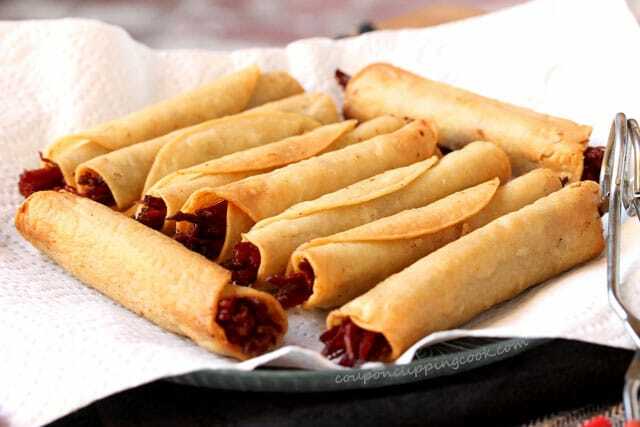 Oh and feel free to fill these taquitos with other types of leftover shredded meat such as pork, chicken or beef instead of corned beef. I’ve actually used meatloaf before and it was different but good. 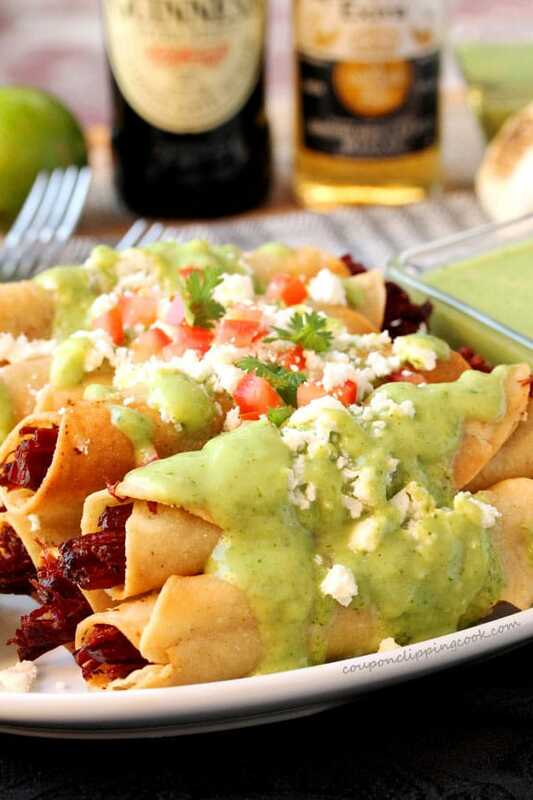 Taquitos are especially good when topped, dipped, or even drowned in avocado sauce. Okay, maybe not everyone would like them drowned in the sauce like I do. 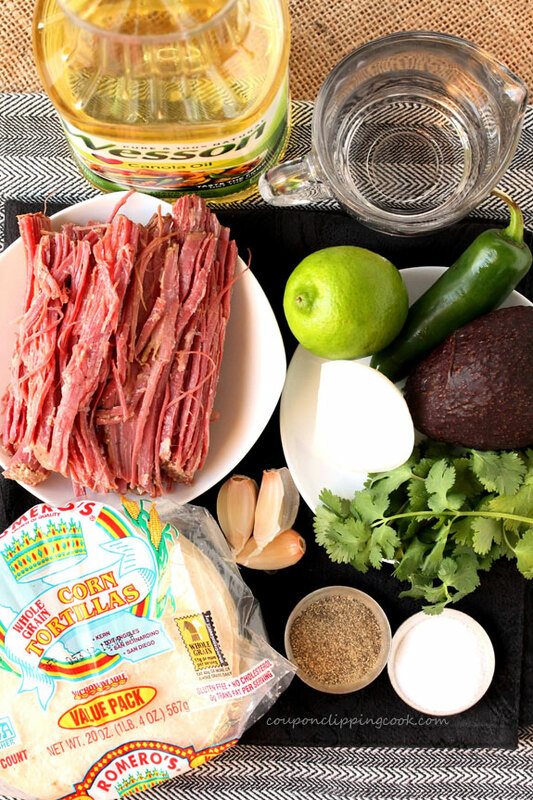 Here’s another delicious way to enjoy corned beef leftovers…”Corned Beef and Slaw Sandwich“. 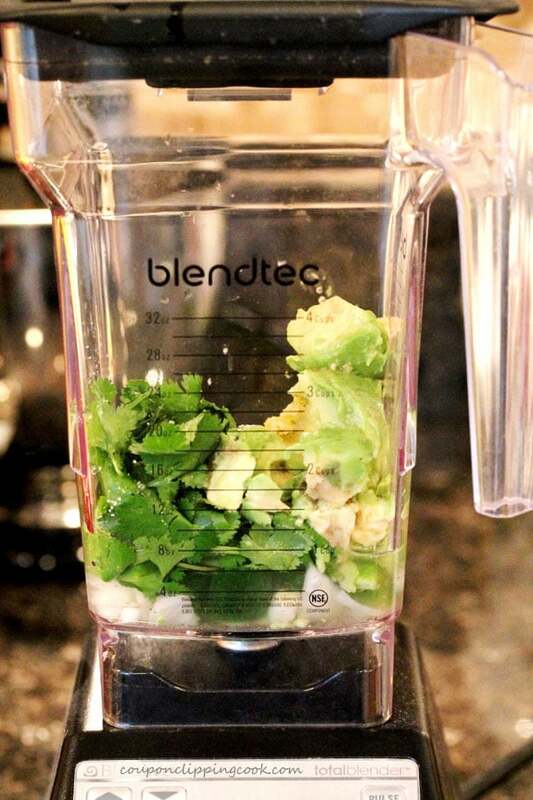 In a blender, add the avocado, lime juice, garlic, onion, cilantro, jalapeno, water, salt and pepper. …until the consistency is smooth. If the sauce is too thick add a bit more water. Taste test and add more salt if needed. 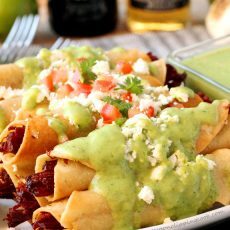 Pour the sauce into a food storage container, or serving dishes (cover with plastic wrap), and chill in the fridge while making the taquitos. 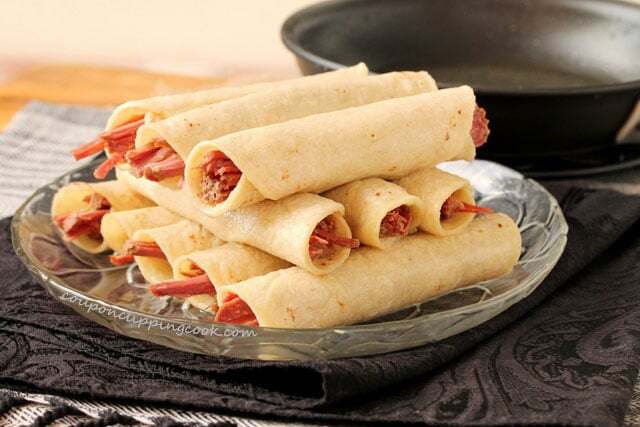 TIP – Before rolling the taquitos, make sure that the meat has had to chance to sit out on the counter for about 10 minutes so that it’s at room temperature; using a paper towel, pat the meat so that it’s completely dry (this is done in an effort to help prevent the hot oil from popping when the meat-filled taquitos are cooking). 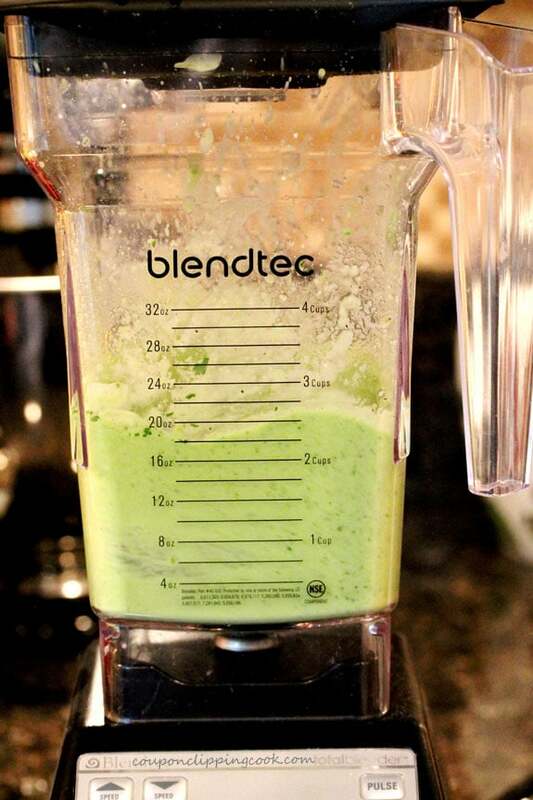 …and transfer it to a large plate. When the tortilla is cool enough to touch, carefully roll it as tightly as possible. 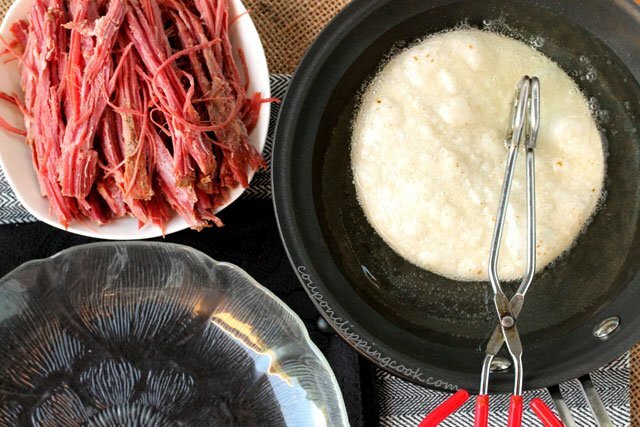 Set aside and repeat the process with the rest of the corned beef. After rolling about 4 tortillas, the oil will need to be warmed up again; repeat the process by turning the heat on and off again (so that the oil doesn’t get too hot). 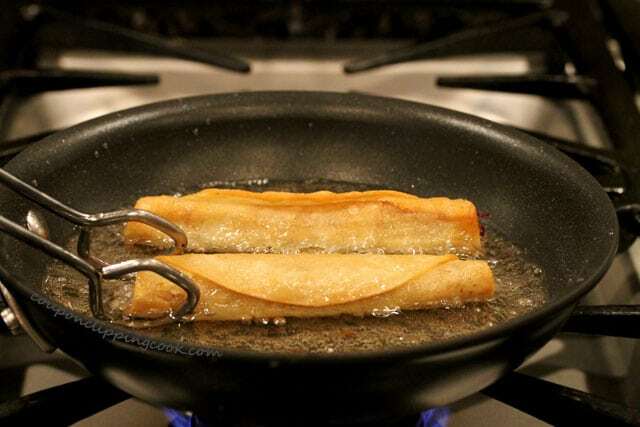 Cooking the Taquitos – once all of the taquitos are wrapped, heat the skillet on medium heat and add more oil if needed so that the oil is about ½ inch deep in the pan. 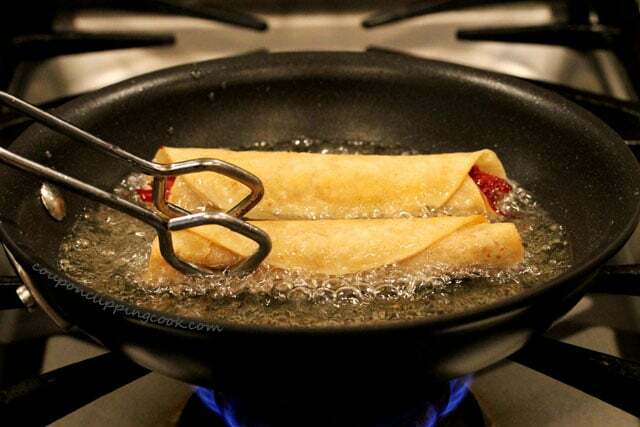 Using tongs, fold side-down, carefully add 2, 3 or 4 taquitos in the pan (depends on the size of the pan); cook them in batches so not to overcrowd the pan. Be very very careful not to let the oil get too hot or it will cause the meat to have moisture and the oil will pop. 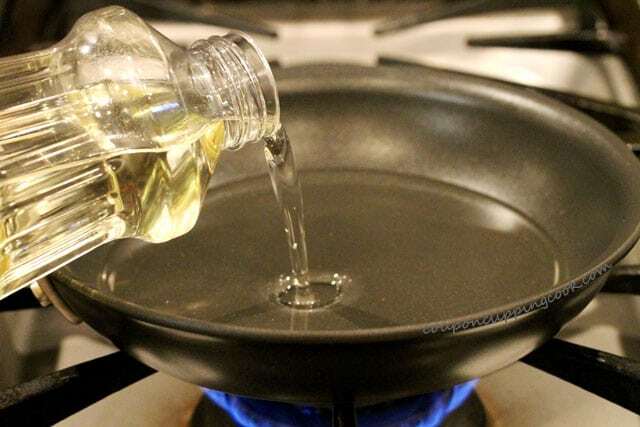 Turn the heat down immediately if the oil gets too hot (and stand away from the pan). 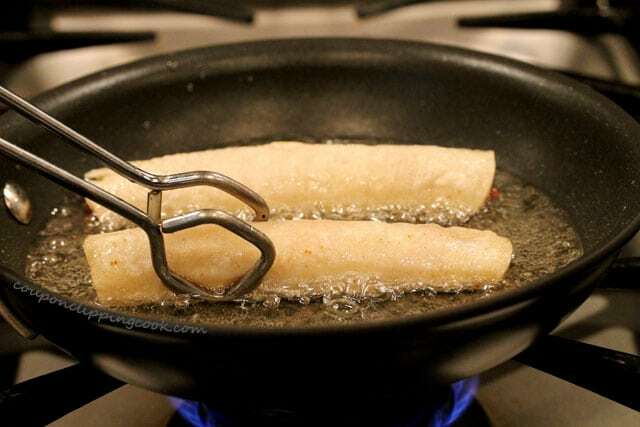 When the bottom sides of the taquitos are a golden color, use tongs to turn them over. 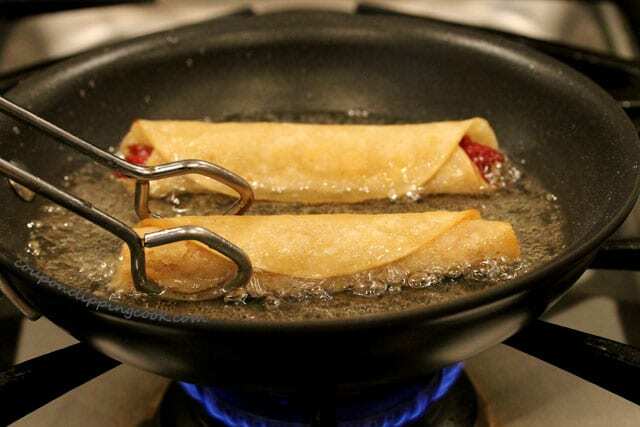 Continue to cook the taquitos until all sides are a golden color. 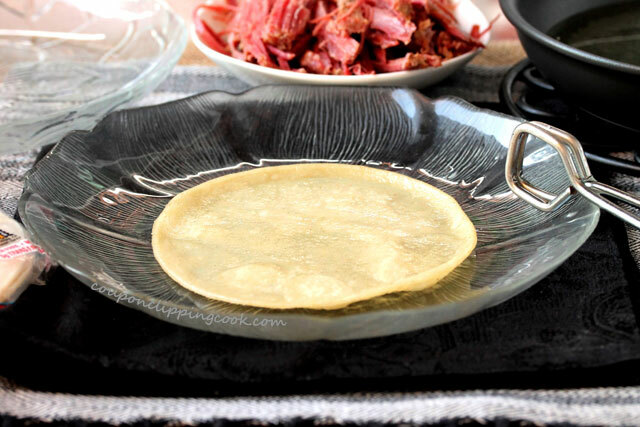 Remove the taquitos from the skillet and lay them on to a paper towel-lined plate. 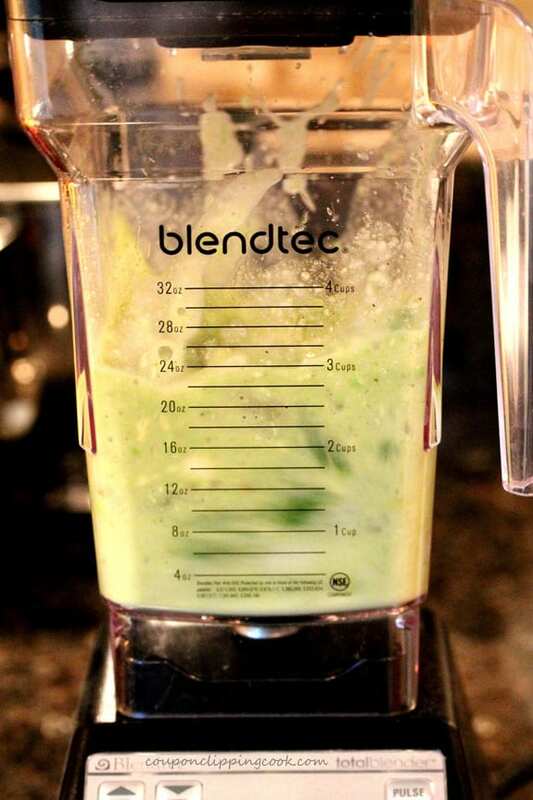 Serve while warm with avocado sauce. 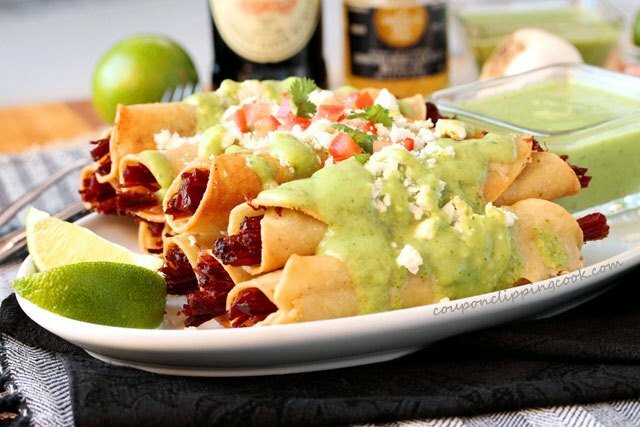 …garnish with more avocado sauce, cilantro, crumbled queso fresco cheese and diced tomatoes. …enjoy each and every bite. Can you remember who made the frozen taquitos with the packet ? Hi Amber, I can’t remember but I know I’d recognize it if I saw it. I quickly googled it but didn’t see it. I’m curious now so if I find it I’ll update this comment.